Being a big fan of me&i I was very pleased to be invited along to see the new designs for the coming season. Leo has a few of the me&i tops and I have always loved the quality and vibrance of the designs. me&iare a Swedish company that were founded back in 2004 by Susan Engvall and Helene Nyrell. Back in those early days the company was actually run from their own homes around the kitchen table. Susan and Helene found the inspiration to dream up me&i when they were left far from impressed by the current selection of clothes on today’s market. At this time of year when you step into a high street store the same old colours stare back at you. I often wonder where all of the vibrant colours are hiding, but it swings in round about’s and it seems that the bright colours are reserved for the Summer months and don’t want to come out and play for Autumn and Winter. Well that is true unless you manage to take a look at the me&i collections. Vibrant colours and eye catching patterns is what they do. Just because the sun isn’t shining it doesn’t mean you have to dress that way! The new Nordic collection for women and children stays true to the me&i roots, bright colours, funky fresh designs and a great variety of choice. I was looking forward to having a look at the women’s wear as I have never had the opportunity to see or try any on first hand. There were a number of items from this collection that I absolutely loved, the casual trousers that could be compared to leggings but offered a much thicker material in comparison, and the very bright patterned flowery tunic top really stood out to me. As with the children’s clothes, you could feel the quality in each item. Quality plays a big part for me when purchasing new clothes, as I like to know that they will with stand the washing machine and live to tell the tale. I have always experienced great results with my me&i clothing, they have always kept their fantastic bright colours and never bobbled. Bright colours and quality are the aim of me&i’s game and are set to shock Autumn back into Summer, let’s face it we all need some more colours in our wardrobes at this time of year! The children’s collection is best known to me as we have a number of items for Leo, and I was very pleased to see that they had kept on some of my favourite colours for the new line. My all-time favourite colour to see on Leo is the Turquoise Blue. It is bright, vibrant and just looks very visually pleasing. 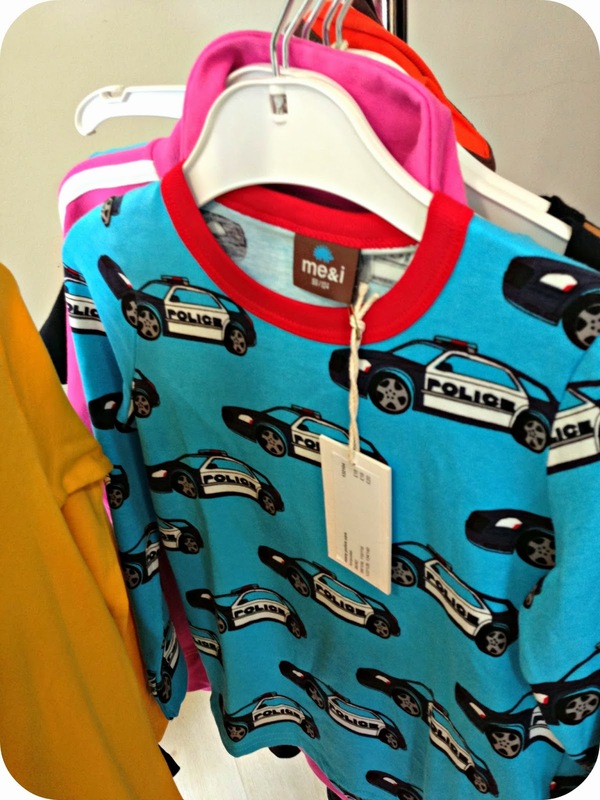 For the Autumn/Winter collection the shirt has been re-designed with a Police Car design and long sleeves. As expected the same level of quality remains, and is soft to the touch as always. I have been really impressed with the new collection and I am so pleased that I got to go along and have a first hand look at this seasons new range. If you haven’t heard of me&i from my past reviews, then you can find those here, and here. You can also check out the website to see the collection for yourself. Before I left the event I was provided with a goodie bag full of information on the new range, and also given the chance to pick a brand new hat for Leo. I chose the very vibrant Turquoise Blue Police style hat for my Blue eyed boy. Now I just have to persuade him to wear it. me&i are always on the look out for fashion savvy representatives to showcase their clothing line to friends and family through fun get togethers. If this is something that would interest you and you would like to get involved you can find more information here. 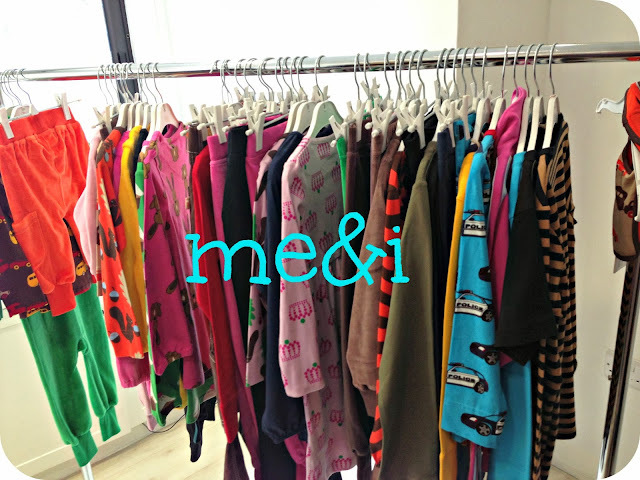 Disclaimer: I was invited along to the me&i event for the launch of their new seasons collection. I was provided with a goodie bag and treated to a very tasty lunch. All views and opinions expressed are completely honest and my own. Beyond Group 1 - What Next?